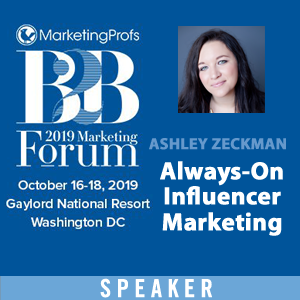 In the world of content marketing, curation plays an instrumental role for companies that want to become a single source destination for industry news and information related to their area of expertise. Interest in curation has grown significantly and to meet demand, a number of software companies have emerged. Curata is one of the leaders in the content curation and content marketing software space, lead by Pawan Deshpande. As the founder and CEO of Curata, Pawan is responsible for the company’s vision, management and advanced development initiatives. 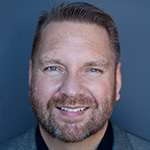 His work at Curata has been recognized through the 2010 Boston Business Journal’s 40 under 40 Award, and through the Massachusetts Technology Leadership Council’s 2012 Sales & Marketing Technology of the Year Award. Before founding Curata, he held software engineering positions at Microsoft, Google. In this pre Content Marketing World interview, Pawan talks about how to develop a content marketing strategy, gives tips on how to leverage insights about your target audience and provides some useful perspective on content marketing ROI. How important is it for a company to have a content marketing strategy defined before asking internally for budget or engaging an outside consultant? Can experimentation lead to strategy or is a hybrid approach more practical? 3) What their greatest pain points are, including what will be of value to them. This insight can then be used to develop longer term content campaigns with “heavier” formats (e.g., ebooks) that can be atomized into smaller, more digestible deliverables. In parallel, ~25% of your content marketing output should be produced in a more sporadic fashion with less strategic direction. This creates room for more event-driven content as well as offering greater opportunity for experimentation. What are some ways you can use audience insights to inform your content planning and promotion? Develop useful content: There’s no better way to understand the pain points and needs of your audience than to directly ask them. (e.g., interviews, surveys, casual conversations) Develop content based on these needs that will be of use to them, regardless of the fact that it may not have anything to do with your product offering. Speak their language: Don’t only understand what’s important to your audience, but learn what type of content is most relevant to their company, job and career. For example, Verne Global developed a curated microsite focused specifically on Automotive IT News to bring valuable content to an IT professionals in the automotive industry. 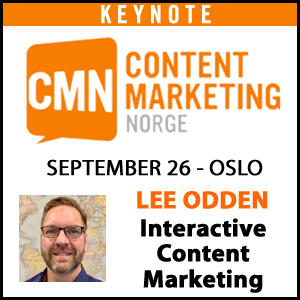 Learn from experience: Content marketing strategy should be an iterative process. 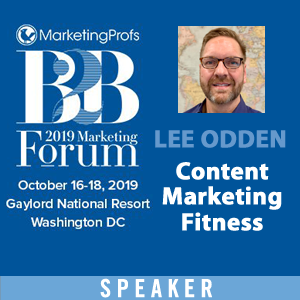 Put in place a comprehensive measurement strategy to understand what types of content, format and channels are most successful or even least successful. A continuous feedback loop of content marketing analytics that informs your strategy will assure that you learn from past mistakes and successes. Visuals in content marketing are increasingly popular but how important are they really? Is this the beginning of the end of text or just a phase? As more and more companies employ content marketing, the costs of creating content that stands out continue to increase. In the earlier days, a short form blog post with a great idea was often sufficient to get attention. These days it’s harder to differentiate from everyone without exerting more effort. Because of this, the most successful content formats are currently long form blog posts, ebooks and infographics. In the future, content marketers will have to differentiate even further by investing in more sophisticated formats such as interactive content, and other forms of visual media. While the costs for marketers will increase, it will ultimately result in a better experience for content consumers. Is Content Marketing ROI really that hard? What are you doing to measure content marketing performance? Content marketing has come a long way in the past few years, and there are now definite content marketing metrics along with technologies that can help to quantify the return on content marketing investment. However, both organizational and technical silos will need to be broken down in order to tap into the varying sources of information to get to this elusive ROI. At Curata we have begun to fully integrate our content management process with both marketing and sales automation platforms to determine the impact of our content on pipeline and revenue. We no longer measure the success of content solely based on “engagement”, social shares or pageviews. While these are important parts of the equation, we also evaluate our efforts on their influence on leads and revenue. In the spirit of the Content Marketing in Wonderland (Alice) theme of the #CMWorld eBook series, what was your favorite story from childhood? Any lessons in it for business or marketing today? Quality over Quantity: At first, the very hungry caterpillar consumes too much food, eating everything from a lollipop to a piece of pie. After some time, the caterpillar decides to eat higher quality food (a leaf) and he then transforms into a butterfly. Similarly, marketers should focus on producing high quality, relevant content, instead of a high quantity. Digestible Content: The caterpillar learned that the best food was very digestible and easy to break down. Marketers should create content with similar characteristics so that more readers are able to consume it. Thank you Pawan. Also, thank you to Curata for sponsoring the Content Marketing World conference eBook series we’ve been publishing and promoting this month! 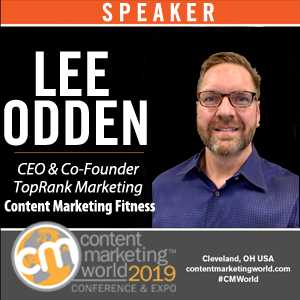 To dig even further into the realm of content marketing, check out the Content Marketing World conference coming up Sept 8-11 in Cleveland. If you use the discount code, TopRank, you’ll save $100 off main event and all-access registrations. 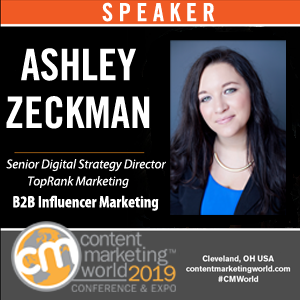 Disclosure: Our agency TopRank Marketing has done some internet marketing consulting for Curata in the past and they are the sponsor of the Content Marketing World eBook series we’ve been publishing this month. Looks like the bolded text in the post is wrong. It should read Quality over Quantity and not the other way around.